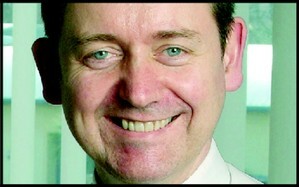 Chris Mee has been the owner and managing director of the Chris Mee Group since 1996. The company provides safety, environmental, energy and carbon emissions services. It has offices in Cork, Dublin and London, employing 30 people full time and 80 consultants and associates. What are the main responsibilities of your job? Driving growth and profitability are my main responsibilities. On a day-to-day basis, I focus on key strategic goals and putting the internal systems and people in place to help us achieve these goals. I believe in building strong relationships with our clients, and I regularly visit them to listen to what they need. I am currently working on 17 projects with a dedicated team of innovative R&D engineers. I am a strong believer in our graduate programme. I also work with my management team to ensure continuous professional training for all our staff. What motivates you in your job? There is nothing more motivating for me than to be seen by our clients as a safe pair of hands. Client references are probably the biggest source of satisfaction and motivation for me. I actively consult with people to arrive at the best outcomes, but I will make calls quickly when the situation demands it. What is the most valuable professional lesson you have learned so far? A company will never grow if you don`t have competent, empowered and motivated managers who you can trust fully. In Ireland, whose career do you most admire, and why? Tom Beegan, former chief executive of the Irish Health & Safety Authority, who joined our board of directors last year. I admire his energy and strong work ethic. He is also a risk-taker of exceptional quality. Based on your experience, what is the most valuable career advice you can offer others? Acknowledge effort and reward results. Continuously improve, surround yourself with good people, and identify your long-term goals carefully. In terms of doing business in Ireland, what do you think is the biggest challenge we face? The creation of new jobs is the major challenge for employers. The government must be a catalyst in the employment creation process. It needs to consult with indigenous employers, and then actively take on board their ideas in its decision-making process. What is your ultimate professional goal? To expand our international business while, at the same time, not losing sight of our day-to-day activities.